For me, 1985’s The Breakfast Club remains a little special due to one reason: it was the last of John Hughes’ teen movies that came out while I still attended high school. It hit theaters a few months before I graduated in June 1985, so it provided the final flick to which I could theoretically relate. 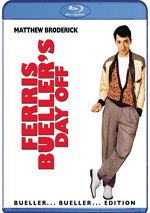 Ferris Bueller’s Day Off, Pretty in Pink and the like all hit when I was a college man. As such, it wasn’t quite the same for me. Club offers one other less personal difference from its brethren: it gives us the only Hughes high school movie with an “R” rating. Before I saw its DVD in 2008, I remembered the flick as being more serious than its siblings, but I’d not seen it… cripes, I don’t think I’d watched the flick since it came out in 1985. Set during Saturday detention at Shermer High in suburban Chicago, Club introduces us to the five students under punishment. All of them come with stereotypes attached. We meet Andrew “The Jock” Clark (Emilio Estevez), Brian “The Brain” Johnson (Anthony Michael Hall), John “The Criminal” Bender (Judd Nelson), Claire “The Princess” Standish (Molly Ringwald) and Allison “The Basket Case” Reynolds (Ally Sheedy). Stuck in school with hard-edged teacher Richard Vernon (Paul Gleason), the students get to know each other through the course of the day. Not much of a plot, is it? During college, I once went to a party and had a very drunken bonding session with a burly wrestler. Take that self-pitying bout of bonding, remove the booze but add some pot and make it five high school students instead of two college guys and you have Breakfast Club. Don’t take that as an attack on the flick, for I don’t mean to connote that it’s a drag. While I can’t call Club a classic – at least not for anyone over the age of 18 – I think it entertains well enough. As a 50-year-old, I obviously bring a rather different perspective to the flick than I did when I was 18. Some art stays with us as we age - heck, I’ll defend the hit parade of 1985 until the day I die. Movies like Club don’t stay relevant to us as we get older, however. We might maintain some nostalgic affection for them, but we can’t really identify with the teen-centric ruminations. This does mean, however, that Club will stay timeless for kids of a certain age. I don’t know how current teens will deal with the movie's dated music and fashions, but I’m sure they’ll still relate to its themes and characters. As 2008’s documentary American Teen shows, the archetypes viewed in Club never change. Because of this, the film will always have a punch for its intended audience. Will Club actually work for anyone above the age of 18? Yeah, to a moderate degree, as the movie combines moments of melodramatic character revelations with light comedy. It’s not the cleanest combination of tones, for Hughes shifts among them without much clarity. The funny bits work the best, as they don’t require us to put up with teen self-pity. Hall gets some of the movie’s most amusing bits, though all the actors manage to deliver a few laughs. Although I know the dramatic moments give Club its relevance for teens, those are the parts that become the most difficult to endure for adults. Seriously – don’t any of these kids have decent home lives? The bonding and revelations get tedious. Despite those moments, Club keeps our attention most of the time, and a good cast helps. Nelson’s Bender is nothing more than an Eighties iteration of the Angry Young Man, another rebel without a clue, but I think he does well with the part. Bender is a smug prick, and Nelson delivers that personality in a convincing manner. Ringwald surprises just because she looks pretty good. When the movie first came out, I assumed that Sheedy – so cute in WarGames – would play The Princess, while gawky Ringwald would be The Basket Case. The role-reversal took me off-guard, but it works. Ringwald seems more attractive than ever, and Sheedy delivers a quirky, offbeat turn as Allison. Maybe a little too quirky, I must admit, but she still does effective work. 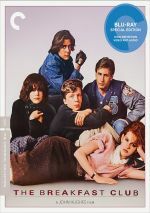 The Breakfast Club appears in an aspect ratio of approximately 1.85:1 on this Blu-ray Disc. This became a satisfying representation of the source. Sharpness worked pretty well, as only a few minor instances of softness appeared. Overall clarity came across good, if not stellar. Jagged edges and shimmering caused no concerns, and I saw no signs of noise reduction or edge haloes. The movie lacked print flaws and came across as clean. Colors seemed good. The film offered a fairly natural palette and appeared reasonably full. Black levels appeared fine while shadow detail was positive. Neither of those elements excelled, but they were more than acceptable. No one will view Club as eye candy, but the Blu-ray replicates it in a positive manner. Nothing special emerged from the DTS-HD MA 5.1 audio of The Breakfast Club. A chatty movie, the soundscape didn’t open up too much. Music disappointed, as the pop/rock songs and score remained essentially monaural. They boasted a little reverb in the side and rear speakers, but that was all. As such, there was no real stereo imaging in terms of music. Effects broadened matters in a minor way. A few scenes made slightly more active use of the various channels, and I even heard one or two split-surround elements. Nonetheless, the flick really concentrated on dialogue, so effects didn’t have much to do. This was a track with a narrow focus. At least audio quality seemed good. While the absence of stereo music disappointed me, I did think the songs and score sounded fine. Those elements showed positive range and depth, so the tracks reproduced them well. Effects remained a minor part of the mix, so they didn’t stand out in any way. Those elements seemed accurate enough, but they weren’t memorable. Speech was natural and concise, without edginess or other issues. Not enough happened here to elevate my grade above “C+”, but other than the absence of stereo music, the audio was perfectly fine. How did this Criterion Blu-ray compare to the ”30th Anniversary” Blu-ray from 2015? Audio appeared to be identical, but the Criterion set also threw in the movie’s original monaural mix. That became a strong attraction. As noted, the 5.1 remix lacked much real appeal, so I’m happy to get the audio that ran with the movie in 1985. It felt like a better fit for the movie. As for the visuals, they offered moderate improvements. The Criterion release showed mild upgrades in terms of sharpness and also felt more natural and “film-like”. The prior Blu-ray was pretty good, but the superior picture quality and the presence of the original mono track make the Criterion the better product. The Criterion set mixes old and new extras, and we get an audio commentary with actors Anthony Michael Hall and Judd Nelson. Along with moderator/disc producer Jason Hillhouse, the pair sit together for this running, screen-specific chat. They discuss cast, rehearsals and performances, working with director John Hughes and the other filmmakers, sets and locations, and a few production stories. Though the track starts out well, it loses steam after too long. During its early moments, the actors offer good reflections on their experiences. Unfortunately, as the commentary progresses, we hear more praise, less information, and too many dead spots. Fans will still find some nice observations here, but this ends up as an inconsistent discussion. Next comes a 12-part documentary called Sincerely Yours. 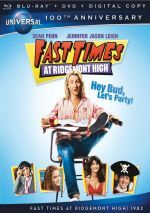 In this 51-minute piece, we hear from Hall, Nelson, Heathers director Michael Lehmann, Juno screenwriter Diablo Cody, Washington Post writer Hank Stuever, costume designer Marilyn Vance, Pretty Persuasion director Marco Siega, Fast Times at Ridgemont High director Amy Heckerling, and actors Ally Sheedy and John Kapelos. “Yours” looks at director John Hughes and his take on teen life, musical choices, aspects of the script and story, rehearsal, characters and performances, costumes, and the film’s reception/legacy. “Yours” mixes good facts with lots of fluff. Much of the program simply discusses the greatness of John Hughes, as well as the wonderfulness of Club itself. We do find a reasonable amount of interesting information along the way, but the package gets a bit tough to take. I think there’s enough useful material here to make it worth a look, but it’s an inconsistent program. While the extras mentioned above appear on the prior Blu-ray, the rest are new to the Criterion release. 18 Deleted/Extended Scenes run a total of 51 minutes, 39 seconds. That’s a whole lot of added footage, and virtually all of it offers expansions of characters. The most substantial sequence offers Carl the janitor’s take on the five protagonists’ futures, while other snippets show more background for the various roles. Some of this seems interesting, but we already know what we need to know in the final cut, so I suspect the added material would’ve made the movie drag badly. Under Cast and Crew, five separate interview clips appear. Four come from 1985 - “Judd Nelson” (12:36), “Ally Sheedy” (15:23), “on-set teacher Irene Brafstein” (8:58) and “Paul Gleason” (11:09) – whereas “Molly Ringwald and Ally Sheedy” (18:38) was shot in 2017. Unfortunately, the 2017 Sheedy/Ringwald interview was done separately, so the actors don’t chat together. Still, they give good notes about their careers and work on Club. As for the 1985 interviews, they offer raw footage, warts and all. I like that approach, and the participants prove more informative and candid than I anticipated. Under John Hughes, two audio interviews appear: “American Film Institute 1985” (47:21) and “Sound Opinions 1999” (16:05). In the 1985 chat, Hughes offers an overview of his career to date and notes about Club, while “Opinions” views Hughes’ use of music. Both offer worthwhile information. An Electronic Press Kit splits into seven areas. With a total running time of 23 minutes, 49 seconds, we locate promotional reels as well as the film’s trailer. The first six clips bring us fairly generic featurettes that include remarks from Hughes, Ringwald, Nelson, Sheedy, Hall, editor Dede Allen, co-producer Michelle Manning, and actor Emilio Estevez. The reel with Allen offers some insights, but most of these seem bland and forgettable. Next comes a nine-minute, 42-second excerpt from two 1985 episodes of Today. In it, Jane Pauley chats with Ringwald and Nelson one day and Estevez, Sheedy, and Hall the next. While watchable for archival reasons, they don’t do much other than promote the film. A video essay called Describe the Ruckus boasts narration from Judd Nelson. It lasts 12 minutes, 13 seconds and provides Nelson’s recitation of Hughes’ production notes. This becomes an interesting look at Hughes’ preparation. The disc finishes with a 2014 broadcast of NPR’s This American Life. It goes for 15 minutes, 13 seconds and focuses on Ringwald’s then-recent screening of Club with her 10-year-old daughter. The program delivers a few good insights, mainly related to Ringwald’s own childhood. The package completes with a booklet. It provides photos, credits, production elements and an essay from critic David Kamp. The booklet ends the release well. While The Breakfast Club lacks the relevance it boasted for me when it hit in 1985, it still has its moments. I could live without all the melodrama, but there’s enough good material here to make it interesting. The Blu-ray provides very good visuals and supplements along with acceptable audio. Club remains a fairly effective movie, and the Criterion release delivers it well.